If you've got lots of Tonic dies already you won't want to miss the storage folders!! Tune in to Create and Craft at 10.00am to see what everyone has been talking about! Here's another card with the beautiful new Tonic Studios Indulgence Affections dies - this time I've used the Heart base die just over the edge of the card fold to create the back and front - keeping them both joined at the top. 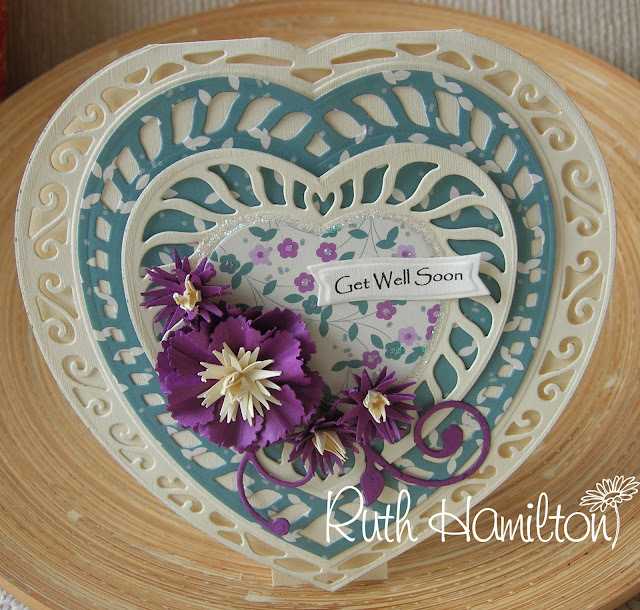 The flowers are made with the Carnation, Sweet William, Peony Punch and Stamp set.